I took an impromptu trip to Odaiba with everyone who is staying in Dialogue House right now. We started our journey by getting donuts at the station. Japanese donuts are so much different from American ones that I would barely put them in the same category of food, but they were still yummy. I got a custard filled one, a green tea somethingorother one, and a strawberry icing one. They also had donuts that were supposed to look like takoyaki (octupus dough balls), but I didn’t try those, because takoyaki is a little bit too doughy for me, and even if they didn’t actually taste like octopus, I didn’t want to eat anything resembling an octopus meal for breakfast. Then we set out for Odaiba, a man made island with lots of shopping, attractions, a giant ferris wheel, and the popular rainbow bridge. This is our train ride around and into Odaiba. You can see the ferris wheel, rainbow bridge, and the fair-like area. Erin, Xin, Loren, me. 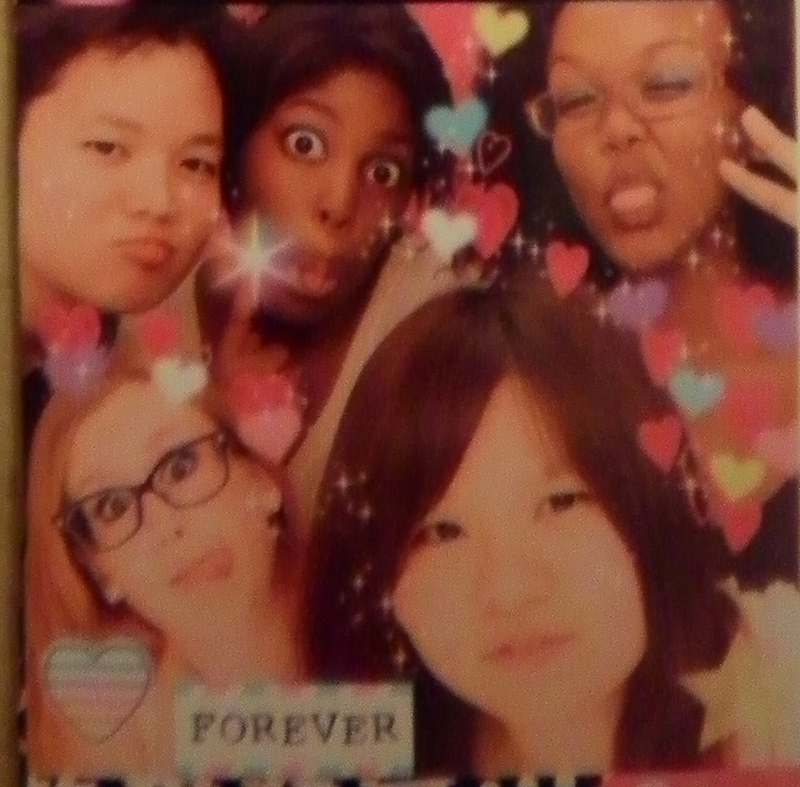 We spent the entire day making fun of the ridiculous cutesy poses that Korean pop stars make. Apparently this building is well known? Mameshiba is a half dog, half bean, full cute character. 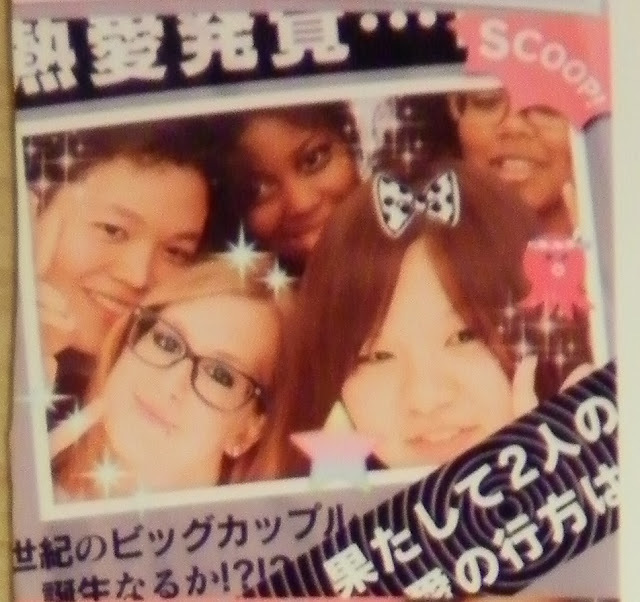 After exploring for a bit we went into a big shopping mall type area with food, shopping, an arcade, an indoor amusement park, and PURIKURA!! We decided to eat at a “Mexican food” restaurant. 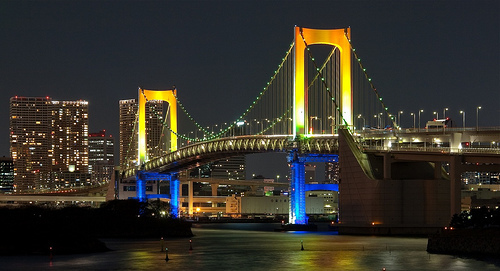 A view of Rainbow Bridge from our table. It was make your own soft taco style. But they didn’t have beans, cheese, sour cream, or guacamole…. Melon Fanta tastes like chemicals. 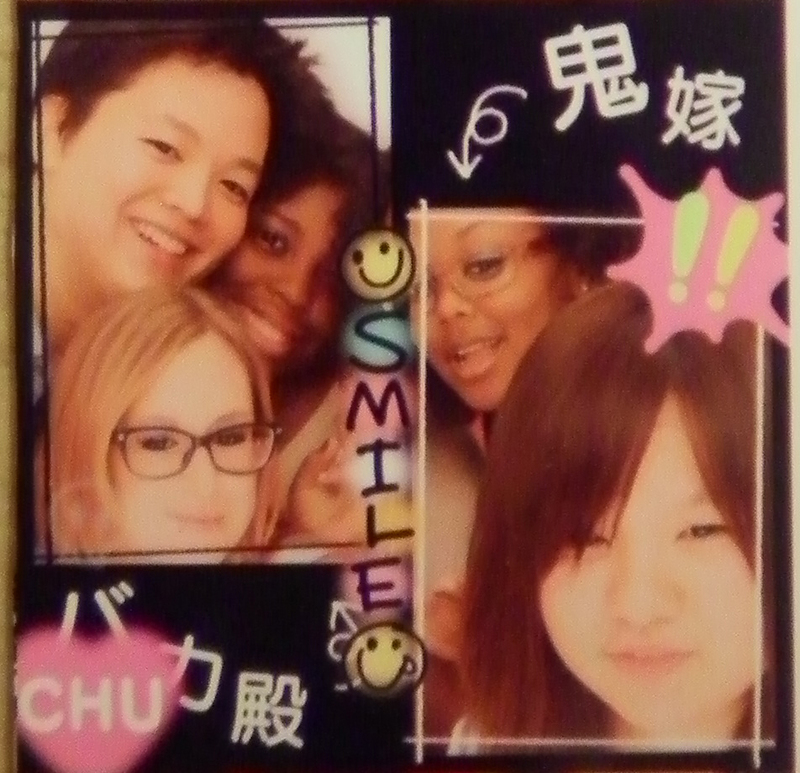 Then we walked around the shopping area for a few minutes before heading to Purikura!! I mention in the video that AKB48 is so ridiculously popular, and it is confirmed when I realize those girls who are showing all of the rides on the big screen are members of AKB48. If I knew what their music sounded like I would have realized that they were the ones playing in the background, too. And those vending machines had AKB48 key chains in them. When I say these girls are everywhere, I mean it. 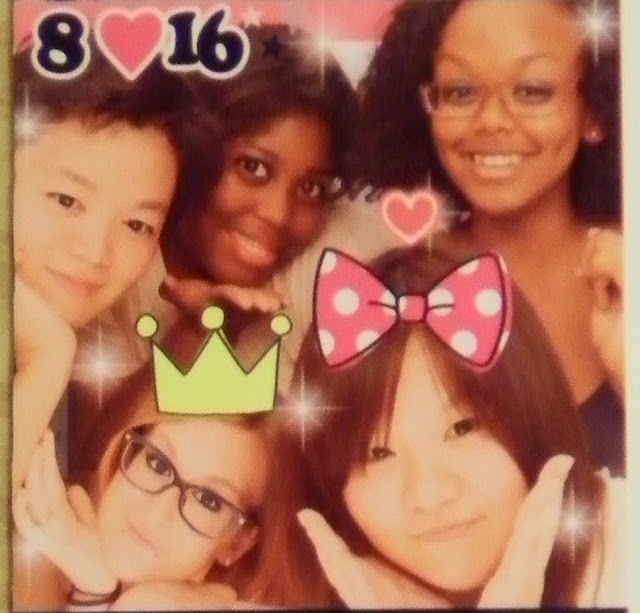 None of us have the money to use internet on our phone, so we couldn’t get the Purikura files, and I had to take pictures of the pictures with my digital camera again. But we wandered off into a big shopping area that was nearly an exact replica of Las Vegas’ Caesar’s Palace and then out to the giant ferris wheel. The ferris wheel also wasn’t being lit up very much at all, which was a bit upsetting, but again, very understandable. Unfortunately, my camera didn’t like trying to take pictures through the glass of the ferris wheel cart, so I wasn’t able to capture the view, but we could not only see all of Odaiba, but also Tokyo Tower, out into the ocean, and even a ferris wheel in Yokohama (30 minutes away on train). At night it was just spectacular. And I can only imagine what it would have looked like with all lights fully on display. One day I will have to return to Odaiba, when Japan is in better shape. Inside the ferris wheel. I was so incredibly scared. After the ferris wheel we slowly made our way back home. So far, this trip has been the only thing I’ve really done with my summer vacation, but I have been able to relax, sleep in, and read my books. 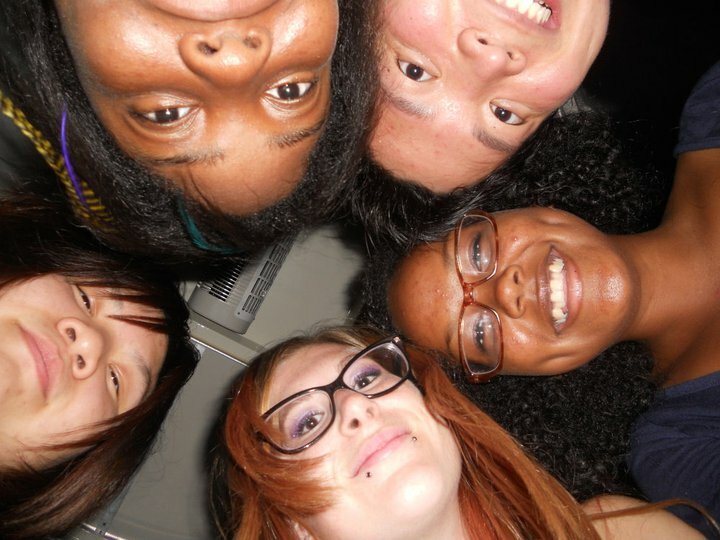 This day at Odaiba was such a full one that I felt like it counted for more than one day, anyway. And tomorrow I will be setting off to enjoy 10 days straight of adventure, exploration, and a whole new side of Japan.